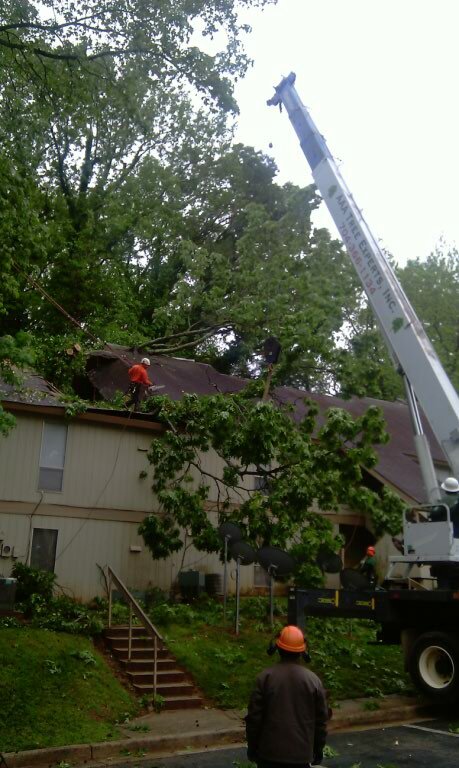 AAA Tree Experts has Emergency Storm Damage Crews Available in the Greater Charlotte Area, Fort Mill, Rock Hill, Lake Wylie, and surrounding areas affected by storms!! If trees have been damaged on your property due to storms or your property has undergone damage due to storm damaged trees, please contact a professional company to perform this work!! AAA Tree Experts, Inc. is fully insured and has skilled employees as well as state of the art equipment to handle dangerous storm damage situations. Please do not attempt to handle these situations on your own or hire unqualified individuals to perform this work. We are available in the Greater Charlotte Area as well as the areas south of Charlotte that were heavily affected by storms. 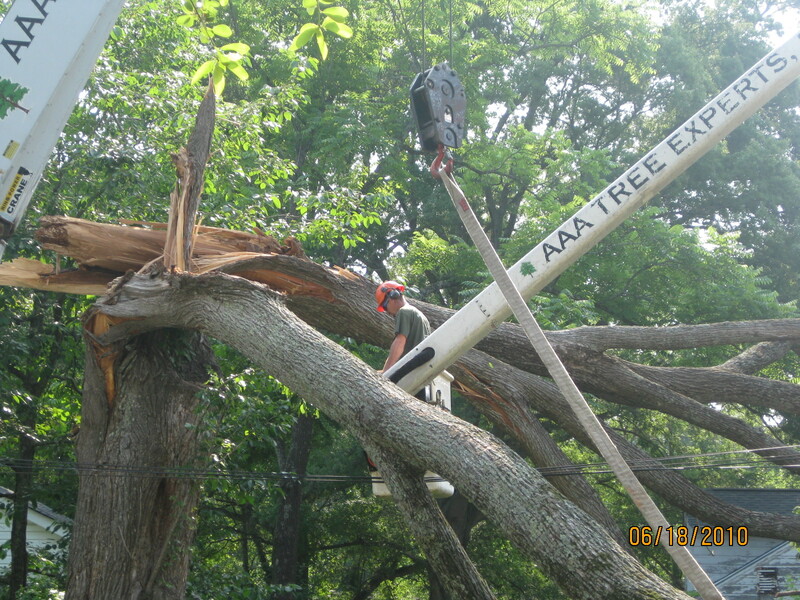 AAA Tree Experts employs skilled and professional climbers and uses a bucket truck and crane when possible to handle these often precariously positioned storm damaged trees. Again, we are travelling a little further south b/c of the severe weather that has affected these communities. Please call us at 704-563-9335 or 803-831-1108 if you are in need of any storm damage assistance. Thanks and BE SAFE! !